Our Association is committed to child safety. We want children to be safe, happy and empowered. We support and respect all children, as well as our staff and volunteers. We have zero tolerance of child abuse, and all allegations and safety concerns will be treated very seriously and consistently with our robust policies and procedures. We have legal and moral obligations to contact authorities when we are worried about a child’s safety, which we follow rigorously. Our Association is committed to preventing child abuse and identifying risks early, and removing and reducing these risks. Our Association has robust human resources and recruitment practices for all staff and volunteers. Our Association is committed to regularly training and educating our staff and volunteers on child abuse risks. We are committed to the cultural safety of Aboriginal children, the cultural safety of children from culturally and/or linguistically diverse backgrounds, and to providing a safe environment for children with a disability. We have specific policies, procedures and training in place that support our leadership team, staff and volunteers to achieve these commitments. This policy is intended to empower children who are vital and active participants in our Association. We involve them when making decisions, especially about matters that directly affect them. We listen to their views and respect what they have to say. Everyone who participates in our Association’s activities is entitled to do so in an enjoyable and safe environment. 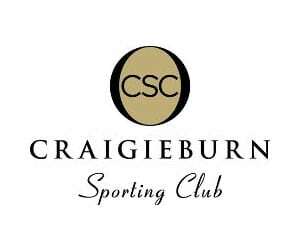 Craigieburn Basketball Association has a moral and legal obligation to ensure that, when given responsibility for young people, coaches, officials, volunteers, staff members and parents provide them with the highest possible standard of care. Craigieburn Basketball Association is committed to devising and implementing policies so that everyone in sport accepts their responsibilities to safeguard children from harm and abuse. This means to follow procedures to protect children and report any concerns about their welfare to appropriate authorities. The aim of the policy is to promote good practice, provide children and young people with appropriate safety/protection whilst in the care of Craigieburn Basketball Association and to allow staff and volunteers to make informed and confident responses to specific child protection issues. The words ‘child’ and ‘children’ in this guide refer to children and young people up to the age of 18years. This definition is consistent with the national framework, Creating Safe Environments for Children – Organisations, Employees and Volunteers, the Commission for Children and Young People Act, the Child Wellbeing and Safety Act 2005 and the Children, Youth and Families Act 2005. The term ‘child’ in this guide is inclusive of anyone under 18 years of age. Not utilising the term ‘young people’ is not intended to diminish any emphasis on, or acknowledgement of, the safety risks to older children or teenagers. To provide children with the best possible experience and opportunities in basketball everyone must operate within an accepted ethical framework such as The Codes of Conduct. It is not always easy to distinguish poor practice from abuse. It is therefore NOT the responsibility of employees or participants in basketball to make judgements about whether or not abuse is taking place. It is, however, their responsibility to identify poor practice and possible abuse and act if they have concerns about the welfare of the child. Please read the attached documet to help you identify good practice and poor practice. Craigieburn Basketball Association is committed to the safety and wellbeing of all children accessing our service. We support the rights of the child and will act without hesitation to ensure a child safe environment is maintained at all times. Craigieburn Basketball Association also promotes the involvement and participation of children and young people in developing and maintaining child-safe environments. We involve them when making decisions, especially about matters that directly affect them. We listen to their views and respect what they have to say. Craigieburn Basketball Association will develop and implement a risk management strategy, which includes a review of existing child protection practices, to determine how child-safe and child-friendly the organisation is and to determine what additional strategies are required to minimise and prevent risk of harm to children because of the action of an employee, volunteer, official, parent, player or another person. Craigieburn Basketball Association will ensure that all adults are aware of and adhere to the organisation’s Codes of Conduct that specify standards of conduct and care when dealing and interacting with children, particularly those in the organisation’s care. The organisation will also implement a code of conduct to address appropriate behaviour between children. All staff and volunteers, as well as children and their families, are given the opportunity to contribute to the development of the Codes of Conduct. Training and education is important to ensure that everyone in our organisation understands that child safety is everyone’s responsibility. Our organisational culture aims for all staff and volunteers (in addition to parents/carers and children) to feel confident and comfortable in discussing any allegations of child abuse or child safety concerns. We train our staff and volunteers to identify, assess, and minimise risks of child abuse and to detect potential signs of child abuse. We also support our staff and volunteers through ongoing supervision to develop their skills to protect children from abuse; and promote the cultural safety of Aboriginal children, the cultural safety of children from linguistically and/or diverse backgrounds, and the safety of children with a disability. New employees and volunteers will be supervised regularly to ensure they understand our organisation’s commitment to child safety and that everyone has a role to play in protecting children from abuse, as well as checking that their behaviour towards children is safe and appropriate (please refer to this organisation’s code of conduct to understand appropriate behaviour further). Any inappropriate behaviour will be reported through appropriate channels, including the Department of Health and Human Services and Victoria Police, depending on the severity and urgency of the matter. It is not the responsibility of anyone working for Craigieburn Basketball Association in a paid or unpaid capacity to decide whether or not child abuse has taken place. However, there is a responsibility to act on any concerns through contact with the appropriate authorities so that they can then make inquiries and take necessary action to protect the young person. This applies BOTH to allegations/suspicions of abuse occurring within our organisation’s activities and to allegations/suspicions that abuse is taking place elsewhere. Craigieburn Basketball Association will ensure that a Association Welfare Officer is appointed to look over matters concerning child safety and abuse. We expect our members and staff to discuss any concerns that they may have about the welfare of a child IMMEDIATELY with the nominated Association welfare officer. The Association Welfare Officer will ensure that the concerns/incident reported to him remain confidential and that the identity of the person reporting the concern/incident is not revealed. The Association Welfare Officer will be required to report all the incidents noted by him/her to the appropriate authority at Basketball Victoria who will then ascertain whether or not the person/s involved in the incident play a role in the organisation and act accordingly. Craigieburn Basketball Association ensures that all reasonable steps are taken in order to engage the most suitable and appropriate people to work with children. This is achieved using a range of screening measures. Such measures help us minimise the likelihood of engaging (or retaining) people who are unsuitable to work with children. We develop selection criteria and advertisements which clearly demonstrate our commitment to child safety and an awareness of our social and legislative responsibilities. Our organisation understands that when recruiting staff and volunteers, we have ethical as well as legislative obligations. We actively encourage applications from Aboriginal peoples, people from culturally and/or linguistically diverse backgrounds and people with a disability. All people engaged in child-related work, including volunteers, are required to hold a Working with Children Check and to provide evidence of this Check. Please see the Working with Children Check website <www.workingwithchildren.vic.gov.au> for further information. Please read the attached document which states the screening processes followed by our organisation. The safety and wellbeing of children is our primary concern. We are also fair and just to personnel. The decisions we make when recruiting, assessing incidents, and undertaking disciplinary action will always be thorough, transparent, and based on evidence. We record all allegations of abuse and safety concerns, including investigation updates. All records are securely stored. If an allegation of abuse or a safety concern is raised, we provide updates to children and families on progress and any actions we as an organisation take. All personal information considered or recorded will respect the privacy of the individuals involved, whether they be staff, volunteers, officials, parents or children, unless there is a risk to someone’s safety. We have safeguards and practices in place to ensure any personal information is protected. Everyone is entitled to know how this information is recorded, what will be done with it, and who will have access to it. In Victoria, organisations are required to protect children when a risk is identified (see information about failure to protect above). In addition to general occupational health and safety risks, we proactively manage risks of abuse to our children. This policy will be reviewed every two years and following significant incidents if they occur. We will ensure that families and children have the opportunity to contribute. Where possible we do our best to work with local Aboriginal communities, culturally and/or linguistically diverse communities and people with a disability. Our organisation takes all allegations seriously and has practices in place to investigate thoroughly and quickly. Our staff and volunteers are trained to deal appropriately with allegations. We work to ensure all children, families, staff and volunteers know what to do and who to tell if they observe abuse or are a victim, and if they notice inappropriate behaviour. We all have a responsibility to report an allegation of abuse if we have a reasonable belief that an incident took place (see information about failure to disclose above). iA person will not commit this offence if they have a reasonable excuse for not disclosing the information, including a fear for their safety or where the information has already been disclosed. iii Mandatory reporters (doctors, nurses, midwives, teachers (including early childhood teachers), principals and police) must report to child protection if they believe on reasonable grounds that a child is in need of protection from physical injury or sexual abuse.